Some things in this world just work. Bacon sandwiches. Very cold beer. Dre and Pac on California Love. The relationship between Supergirl and The Flash. Steph Curry’s regular-season jump shot. The ending of Whiplash. They are so perfect that it’s difficult to imagine them otherwise. To this hallowed list, we’re going to add the Sennheiser HD1 Wireless. In this review, we break down the HD1 Wireless's sound, design, comfort and fit, packaging and accessories, specs and more. If you'd like additional options, see our list of the best wireless headphones. A quick word on naming. The Sennheiser HD1 Wireless have been referred to as both the HD1 and the HD1 Wireless, we're sticking with the latter for this review. They were also previously named the Sennheiser Momentum Wireless, and were renamed in 2017 for reasons that are just too tedious to go into. So, let’s not go into them. Instead, we’ll go into the Bluetooth functionality. These are wireless headphones, after all, and that particular aspect is worth paying attention to. Put simply, even a year or two after their release, the Bluetooth functionality is flawless. Most Bluetooth cans tend to stifle the sound. You can only transmit so much data through a wireless signal, and it will never compare to the quality offered by using wires. Simply put: that isn’t an issue here. The HD1s use a slick aptX codec to ensure that you hear everything (here’s an explanation of what that means). Far more important than the technical side of things is a phrase we keep coming back to again and again: it just works. After the initial pairing with our Android phone, which took about thirty seconds, subsequent pairings were virtually instant. We had no dropped signal (even at over thirty feet from our source), no failures to find the device, nothing. Not once. We really can’t overstate how much enjoy this was. It’s such a simple thing, getting the Bluetooth to work flawlessly, but it makes a massive difference. Now, these are closed-back cans. They aren’t going to trouble the high-end, audiophile market of open-back wizardry. But we simply didn’t expect a pair of closed-back, Bluetooth headphones to sound this good. The audio quality they offer is extraordinary. The initial impression was of a massive stereo field, spreading the sounds wide, without any of the boxed-in quality that some closed-backs have. Moreover, it felt accurate. That’s a very overused word, often without any context given to it, but what we can say is this: it felt like we were hearing exactly what the artist intended us to, without any balance issues, and without the sound being coloured. Bass was punchy, but never overbearing, while highs were crisp and detailed. It was easy to pick out individual textures in the sound, and we fell in love with the rich, elegant quality of the overall package. They are far, far better than newer, more expensive cans like the Beyerdynamic Aventho Wireless (full review here) – while those headphones cost roughly the same as the HD1s did on launch, at $449, they are absolutely horrible, despite increased functionality. The current HD1 Wireless price of $344 means that you should most definitely pick them over the Beyers. Sennheiser also includes a form of noise-cancelation, which they term NoiseGard. It’s an always-on, four-microphone deal, and while it’s never going to match masters of the art of cancelation (Bose’s QC35 II cans are still the ultimate here) it was still a welcome little feature. Plus, there’s the inevitable app. CapTune, available for both iOS and Android, isn’t the most attractive app around, but it is one of the most useful. Its chief function is to present you with a fantastic EQ, both loaded with presets and fully customisable. It also includes a very clever SoundCheck feature, which helps you to refine your sound by letting you pick between two EQ curves, then offering you choice another based on your first one. Do this eight times, and you should, in theory, get an ideal curve for your music. In practice, we found that what works for one piece of music didn’t work for others, but it was still a great feature to have, and one that was never forced on us. Call quality was solid, with no problems on either the hearing or the receiving end. Battery life is advertised at twenty-two hours, and we managed to get around nineteen with continuous play. Charging was quick, too, delivering a full charge from empty in under three hours. Nothing to complain about here. From the moment you take the headphones out the box, it’s very clear that you’re looking at a piece of high-end gear. The stiff headband is covered in stitched leather, running to metal as you get further down towards the cups. These are made of curved, shiny plastic, capped off with a burnished, button-like Sennheiser logo. They are quite different to the company’s flagship headphones, like the HD600, but this is hardly surprising: Sennheiser clearly went for a more modern look here. If you do want to take a punt on the HD600, here’s what you need to know: they are open-back, they cost around $40 more than the HD1 Wireless, at $286, and they are about 120 years old. On the right-hand cup, you’ll find two buttons. One controls the power and Bluetooth functions, and the other does double-duty as both a play/pause/answer call button and a volume switch. You press it to use the former function (or double-press to skip tracks) and flick it up or down to change the volume. We can’t overstate how well this works. Sticking all the functions on one button might sound crazy, but it meant that we never had to hunt for the right one. It just worked. It’s one of the more intuitive control schemes we’ve tested, on par with that of the $400 Bowers & Wilkins PX, which costs significantly more than the Sennheiser’s $245. The button does stick out a little, and we do worry that with prolonged use, it might break, but this is obviously not something we can test. In any case, the company includes an expansive warranty, so you shouldn’t have any trouble. There’s a USB charging socket, and a discreet, inlaid 3.5mm plug if you want to save battery and go wired. The headphones come with a semi-rigid travel case, complete with a handy mesh pouch to store the cable (and an included soft bag if you want to use it). The takeaway is this: when it comes to design and finishing touches, the HD1s are almost perfect. 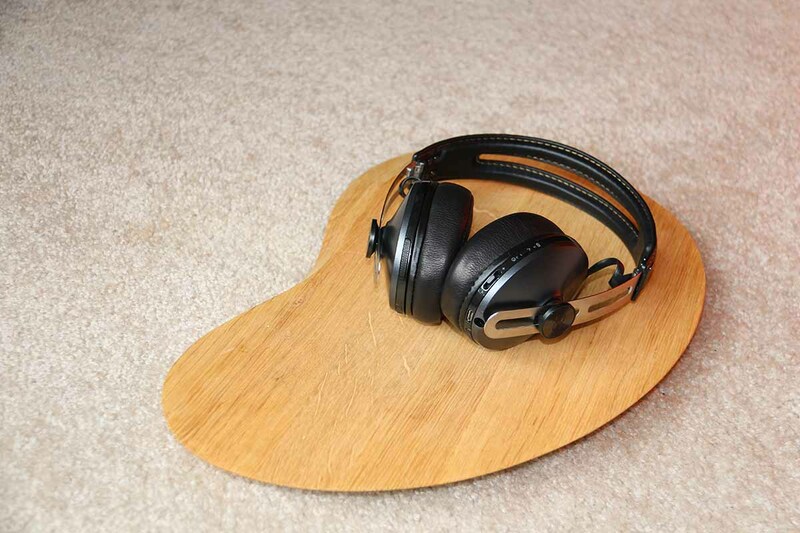 The leather cups themselves are soft and comfortable, easy to wear for long periods of time, and the headphones hinge upwards for easy portability. The clamping pressure feels precise, not squeezing too hard, meaning that we had no issue wearing them for hours. We wouldn’t recommend going for a jog with them, but if you did, they are unlikely to fall off. If we had one fault with the design (and it’s a very minor one) it’s that the exposed wires that runs from the cups to the band loop back on themselves. It’s very much out of sync with the rest of the design. Hardly a deal-breaker, though. Sennheiser have never been the flashiest of manufacturers, and the packaging reflects that. A simple blue-and-black-toned box slides away to reveal the headphones in their case, couched in soft black foam. There’s no particular reason to keep the packaging, and you can recycle it more or less immediately. What you will want to keep is the case, which is not only useful for storing the headphones when they are folded up (obviously) but is also of a very high quality. It’s a soft, zippered black number, and although far from the amazing case that came with the Nuraphones (full review here), it feels luxurious enough. You also get a charging cable as well as an auxiliary cable for wired listening. The Sennheiser HD1 Wireless headphones offer elegant sound, but has far better spacing than the closed-back design would suggest. The design of the headphones is equally elegant, despite a few glitches. ​The Bluetooth functionality has full aptX, and works incredibly well. There are elements of the design, like wires that stick out unnecessarily, that we feel don’t work. The naming confusion (HD1/Momentum Wireless) can be annoying. The headphones are a little bit old now, and due a replacement. The HD1 Wireless are quite old now, and there are plenty of options that equal of eclipse it. Chief among these is the Sony WH-1000XM3, an absolutely magnificent pair of headphones that really wipe the floor with just about everything else. Their noise-canceling is better than the HD1’s Noisegard, and the sound quality is very much on par. You’d get these if you wanted a more modern pair of cans - and they’re actually cheaper than the HD1s. At the time of writing, they’re available for $350, where the HD1s can be had for $388. That makes them both a more affordable option, and a higher quality one. Another good alternative: the Bose QuietComfort35 II headphones. These are neck and neck with Sony for the wireless headphone crown, although we think the Sony headphones are a little bit better. 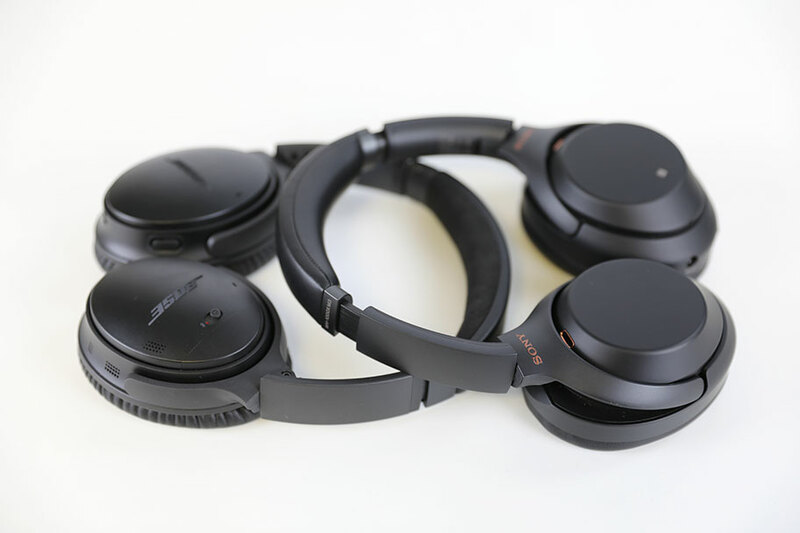 When compared with the Sennheiser, the latter edges the former in sound quality – Sennheiser are really good at this, and Bose occasionally leave a little on the table. 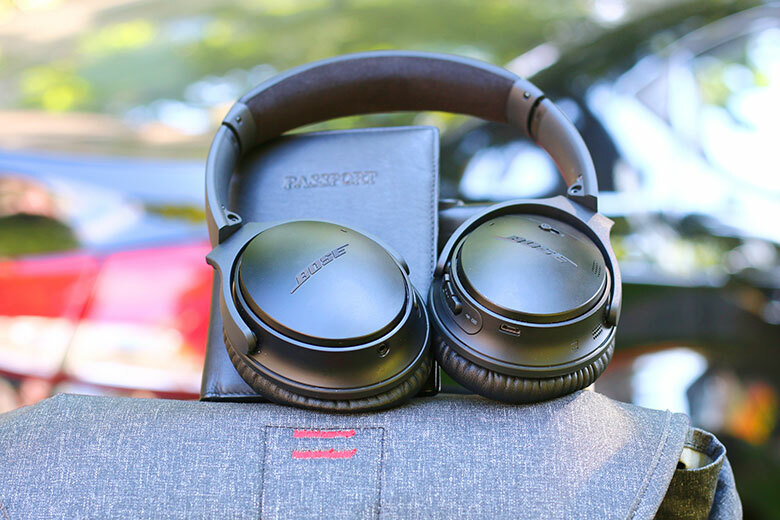 But in terms of noise cancelling, Bose know their stuff, and the QC35 II are way ahead. Bottom line? If you’re going to sound quality, get the HD1 Wireless. If noise-canceling is more important, get the QuietComfort35 IIs. the Bose headphones are, like the Sonys mentioned above, less expensive than the $388 Sennheisers. They cost $350 at the time of writing. If you’re looking for something a little bit more high-end, why not try the Beyerdynamic Amiron Wireless? These are a pair of over-ear headphones that are a little bulkier than the Sennheisers, but offer significantly better sound quality – and are amazingly comfortable. They come with touch controls and aptX Bluetooth, although they do lack noise-canceling. If that isn’t a deal breaker for you, and you have the cash to spend, then these should absolutely be your first choice. At the time of writing, they cost $699 – a good $300 more then the Sennheisers. Despite their brilliance, the HD1s are not, in fact, the company’s most popular pair of headphones. That one is arguably the PXC 550 - a pair of noise-canceling cans with slightly plasticky design that offer reasonable sound. Our take? We prefer the HD1s on every level. They have less annoying build quality and controls, and better audio. Sure the HD1s cost $345 to the PXCs’ $319, but come on. Spring the extra $27, man.